Wow! Well what a day we have just witnessed, the biggest Day 1 in Grand Final history which has contributed to the biggest EVER Grand Final Prizepool. £650,000!! The day has flown by again and eventually we have finished with 75 players who will all be back tomorrow to pay another ten levels of play. 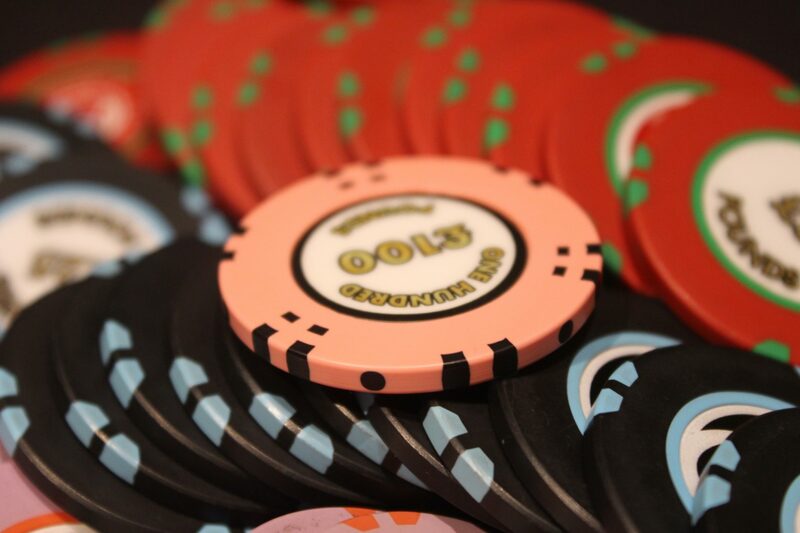 We will be back tomorrow where we have 115 players coming back to play another ten levels of play. Will we make the money? Find out tomorrow as the tournament begins at 1pm. Full chip counts will be up soon. A four has been drawn so the players will now play four more hands before bagging and tagging for the day. We get to the table on a flop of Richard Connolly moves all in and is called by Iaron Lightbourne who is the player at risk. Iaron tables for bottom two pair and will need to dodge spades as Richard shows for the nut flush draw. Richard gets their on the river to take the pot, he now has 50,000. We lose Iaron from the field here during level number ten. The blinds increase for the final time today as we begin level number 10. 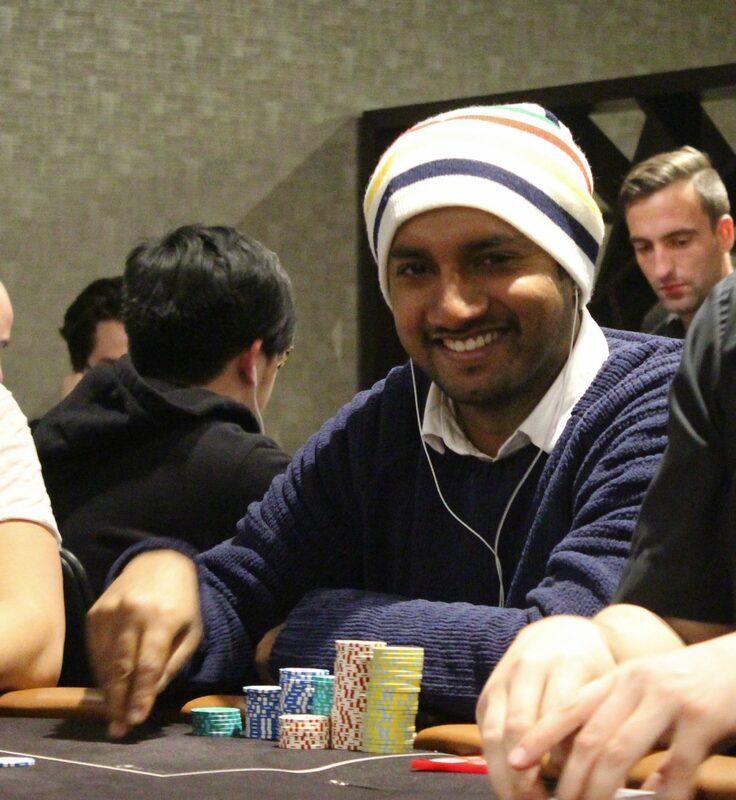 With a level and a half to play we still have a massive 100 players remaining in the field! We could be coming back with around 120 players for Day 2 to play another ten levels. 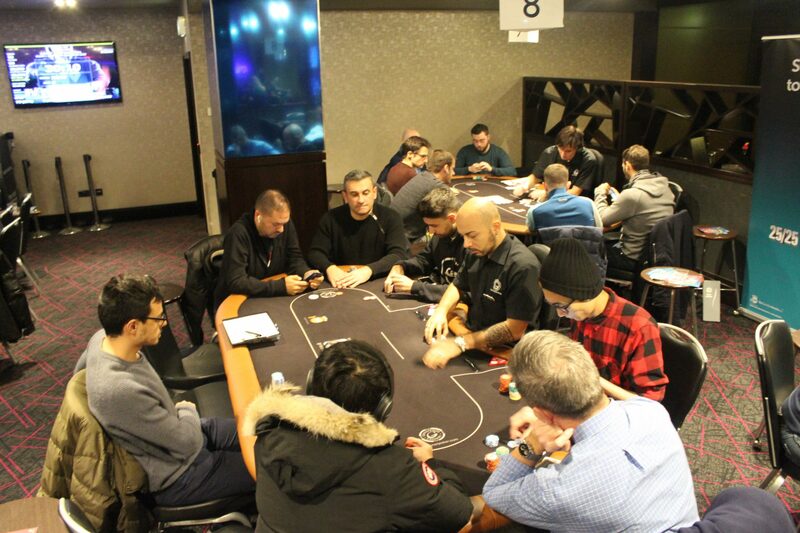 The players are back seated as we begin level number nine. The blinds increase as we begin level 8. The blinds are now 300/600 with a 50 ante. Fraser MacIntyre gets his 10k stack all in holding against the of Dean Clay. The flop comes as Fraser flop a gut shot. The turn card as he picks up counterfeit outs. A big old brick on the river for Fraser as he is eliminated from the main event here during level number 7. 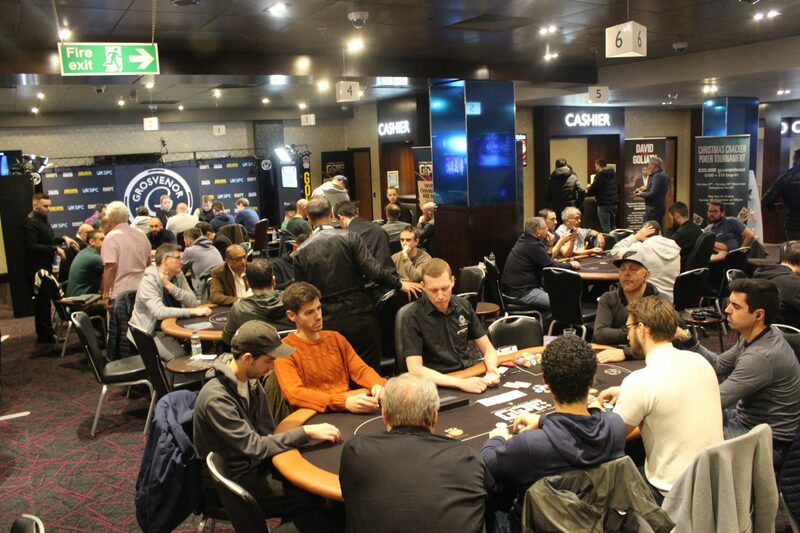 The players are back as we are now begin level number 7 with registration closed. Blinds are now 200/400 with a 50 ante. We will have the confirmed prizepool very soon. 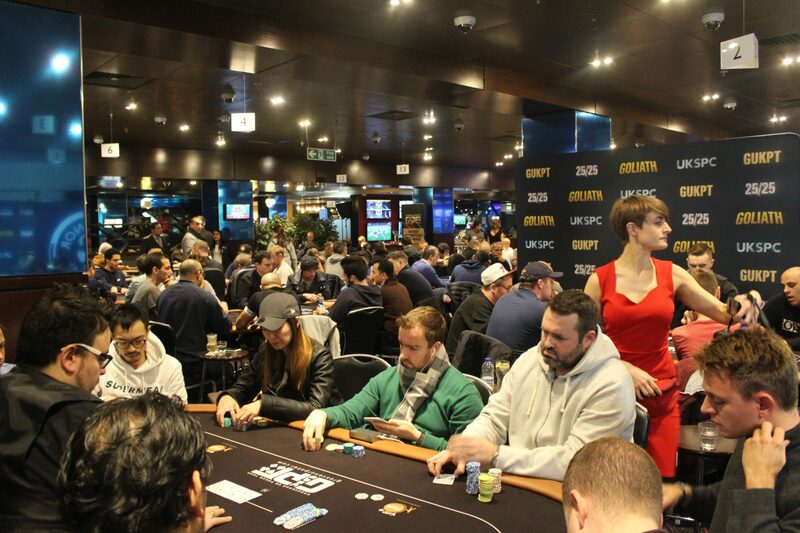 With the entry of Dave Maudlin, the Grand Final prizepool has hit £644,000 which is a new record!! Registration is open until 8:30pm. The caardroom is absolutely packed here! They are now 150/300 with a 25 ante. The pizepool currently stands at a massive £618,000. This iconic picture was taken 6 years ago. The blinds are 100/200 with a 25 ante. 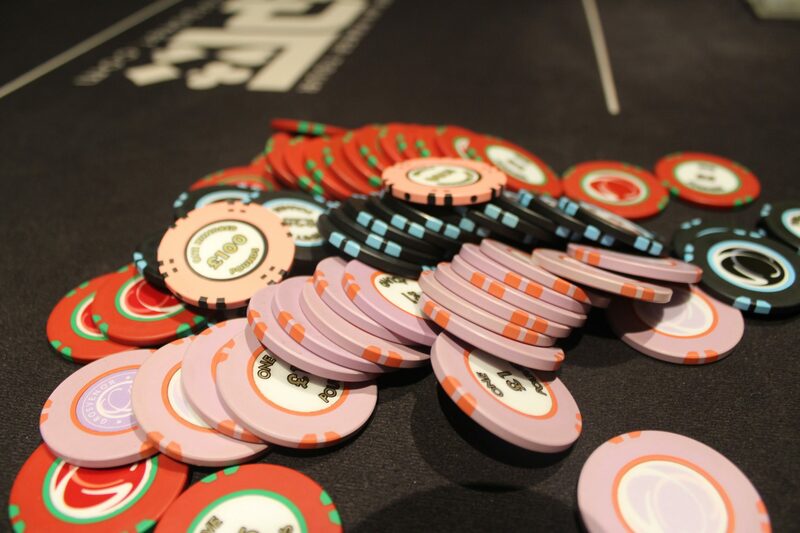 172 entries so far today, with late registration open for another 2 levels. Dinner break now for the players they take 60 minutes. 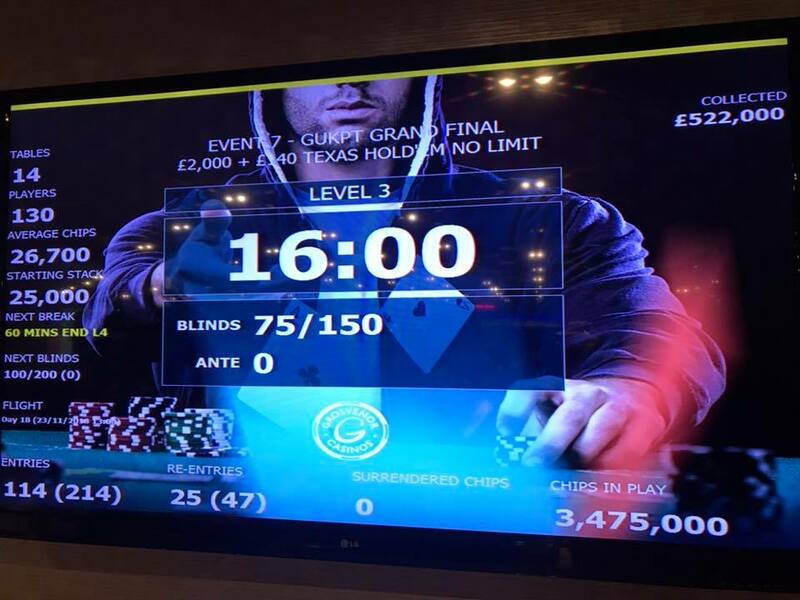 The prizepool for the GUKPT Grand Final is now over £500k! Late registration is open until 8:30pm. We’ve just been having some tech issues accessing the webpage to update it, but we’re now back to provide updates of what’s happening around the tables. 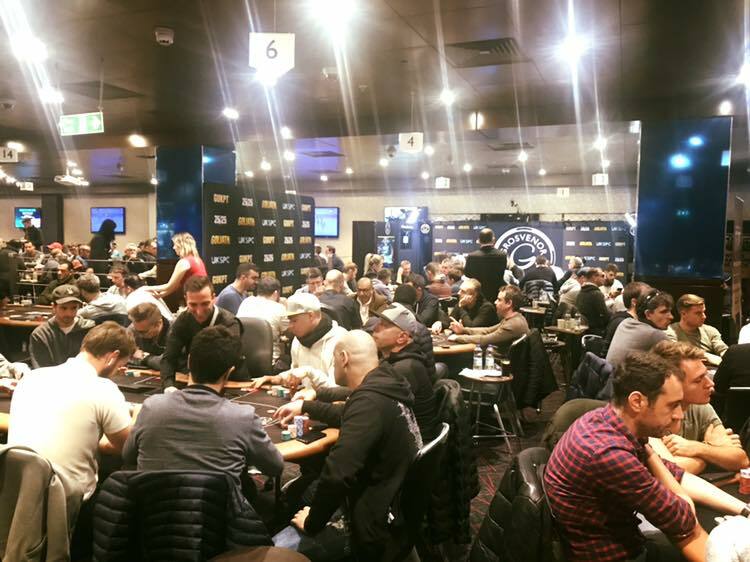 The player have just started level number four and we have 145 entries so far today. 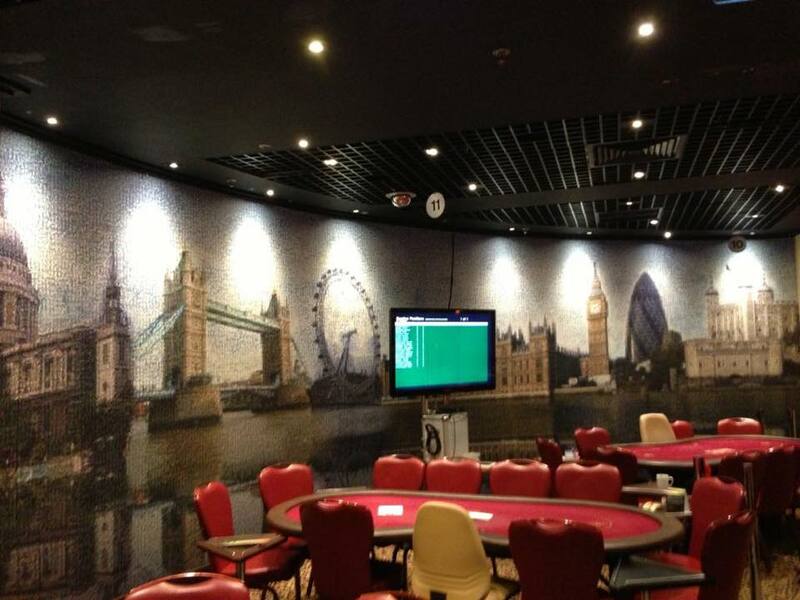 The blinds starting at 25/50 with players starting with 25,000. Play will begin in 5 minutes. 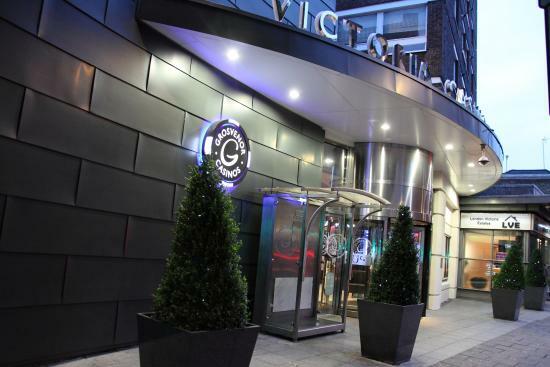 Good afternoon and welcome back to The Poker Room in London for Day 1b of the GUKPT 2018 Grand Final. 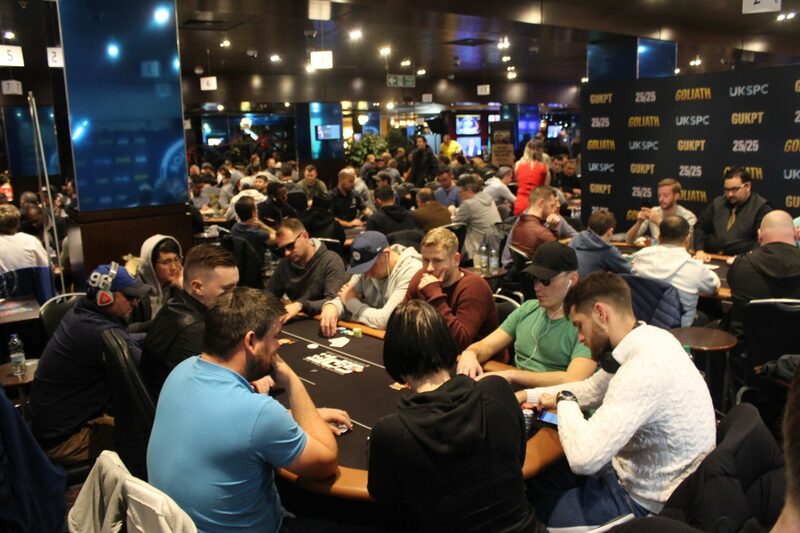 The tournament is a £2000+£140 buy in and for their buy in the players will receive a 25,000 starting stack on the best structure around. The team will be here with you for the ten levels of play today. Bringing you live updates, chip counts, pictures & the live stream which runs on a thirty minute delay with all hole cards shown. Play begins at 1pm and late registration is open until 8:30pm.